Taking time out from working on a number of audio based projects and his co-curatorship of the minus20degree Art and Architecture Biennale in alpine Austria, Heinz Riegler returns to his visual practice with a series of watercolour-on-paper works. 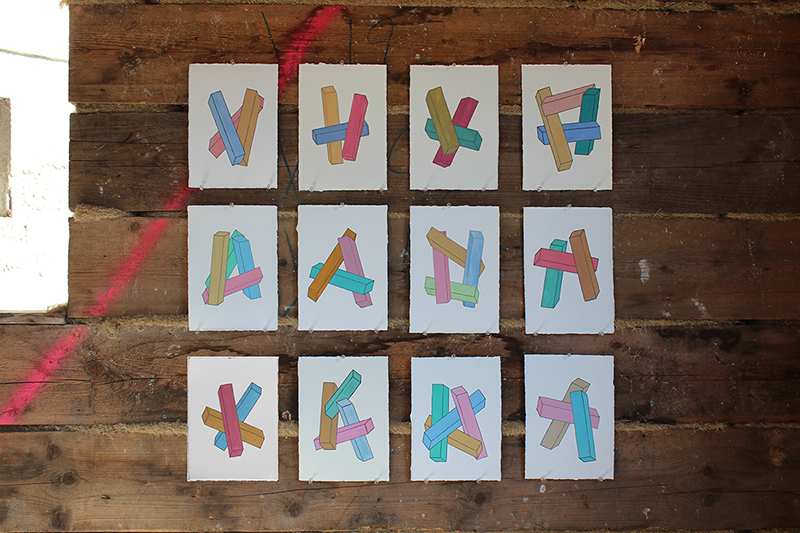 Titled Blocks, Riegler views these new works in direct continuatiuon from his previous Unlearning series. Lines are still present, however, they now enter a geometric realm and become present as connected Blocks in neutral space. Medium format #11 - 26 (26.5 x 18.5 cm) and small format #1 - 10 (21 x 14.5 cm). These works are now available Heinz'z online shop.